L-R: Oakland football coach Kevin Creasy, Andy DeGraw with DIRECTV by EnterSource and JaCoby Stevens. 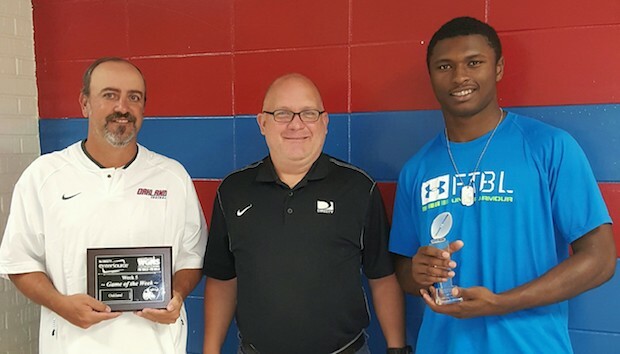 The DIRECTV by EnterSource / NewsRadio WGNS MVP of Week 5 is Oakland senior JaCoby Stevens. He had three interceptions and a 79-yard touchdown reception in the Patriots' 38-0 shutout win over region rival Blackman.